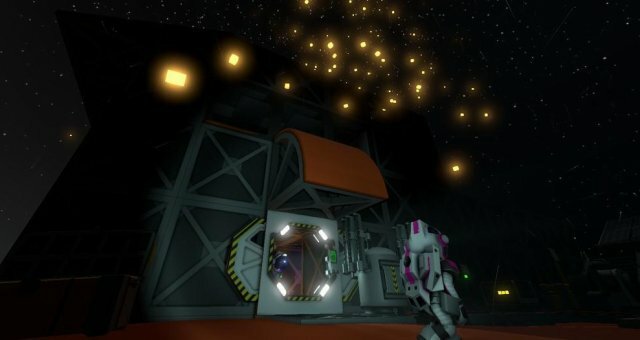 A really short, simple, cheap and effective guide on managing base pressure for newcomers to the game! Simple Logic Chip Solar Tracker. 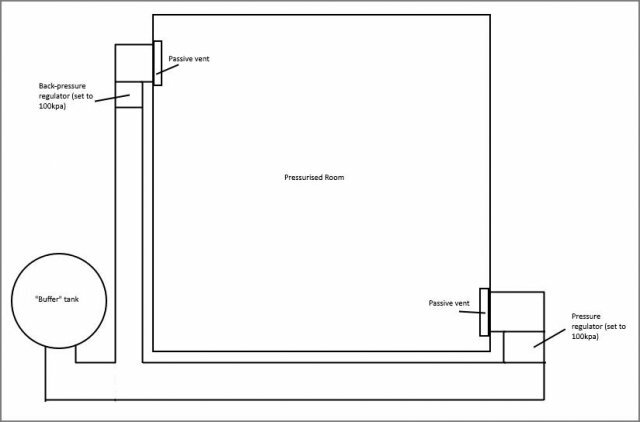 Simply connect your passive vent to a back-pressure regulator (BPR), and set it to what the pressure you want your room to maintain (100kpa). Pipe it up to a pressure regulator (PR) and do the same (100kpa), then attach that to another passive vent. Now if you increase the pressure in the room (say you drop some oxite in there), the BPR will pass air through into its pipes until room pressure returns to 100kpa. Similarly, if you remove air from the room, the PR will pass air through from its pipes, into the room until pressure returns to 100kpa. Note that you will obviously need air in the pipes behind the PR! This is partly why you see there is a "buffer" tank. The "buffer" tank exists so that pressure in the pipes is relieved, and acts as a gas store so that the PR has gas available to pass through if room pressure drops. In order for the system to work properly, you'll need to make sure you have enough gas in this buffer tank / pipes behind the regulators. 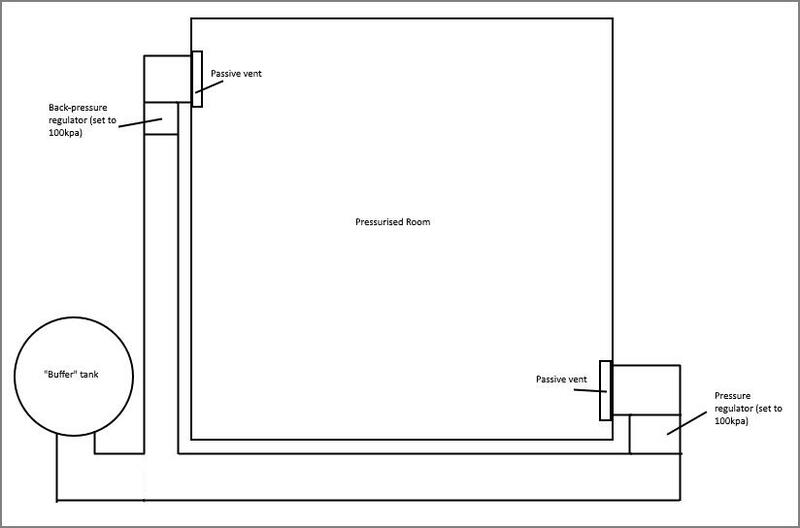 Note that the diagram shows the passive vents placed at opposite ends of the room. This is not entirely necessary, but it will make the system work more accurately and efficiently. In the diagram, air will travel anticlockwise through the room / pipes. You can easily adjust the system if you want the air to circulate - simply adjust the values on the BPR and PR according to preference. The further apart the two values are on the regulators, the quicker air will circulate. You can hook the pipes up to filtration units too, if you want to filter out certain gases that might enter the room (such as pollutants). You could even use the system to cool your base if you run the pipes outside and stick radiators on them (although dedicated heating / cooling systems work better). Note that regulators are fairly slow. If you drop loads of oxite into the room all at once for it to start melting, it'll often raise room pressure faster than the regulators can cope with. I tend to stick to dropping one stack at a time. The same applies if you're using an active vent to pressurise the room - make sure you switch it off before pressure in the room builds too much (>150kpa), as active vents work much faster than the regulators do.